The non-blocking event driven I/O model gives it very attractive performance, easily beating threaded server environments like PHP and Ruby on Rails, which block on I/O and handle multiple simultaneous users by spinning up separate threads for each. I’ve ported production apps with tens of millions of users from both PHP and Ruby on Rails to Node, leading to 2x — 10x improvements of both response handling time and the number of simultaneous users handled by a single server. Fast! (Non-blocking I/O by default). Trusted and backed by large enterprises running mission-critical apps. (Adobe, Google, Microsoft, Netflix, PayPal, Uber, Walmart, etc…). Before we jump in, let’s make sure you’ve got Node installed. There are always two supported versions of Node, the Long Term Support version (stable), and the current release. For production projects, try the LTS version. If you want to play with cutting edge features from the future, pick the current version. Hit the Node website and click one of the big green install buttons. If you’re on a Mac or Linux system, my favorite way to install Node is with nvm. Once nvm is installed, you can use it to install any version of Node. Or visit localhost:3000 in your browser. That’s it! You’ve just built your first Node app. You can use environment variables to configure your Node application. That makes it easy to use different configurations in different environments, such as the developer’s local machine, a testing server, a staging server, and production servers. You still want to document the settings that are required for your app, so I like to check in a copy of the .env file with app secrets redacted. New users of the app can copy the file, name it .env, customize the settings, and be off and running. I name the checked-in copy .env.example and include instructions for developers in the project’s README.md file. Note that you should be careful that all the app secrets are all redacted in your .env.example file, as demonstrated. Don’t check your app secrets into the Git repository. I like to test Node apps with Supertest, which abstracts away http connection issues and provides a simple, Fluent API. For http endpoints, I use functional tests, which means that I don’t worry about mocking databases and so on. I just hit the API with some values and expect a specific response back. I also write unit tests for any smaller, reusable modules I use to build the API. For this and other reasons, I split my app into a couple different pieces, app.js where I build and configure the app itself, and server.js, where I import the app, handle the networking details, and call app.listen(). Express is the most popular framework for Node apps, and it features middleware using continuation passing. When you want to run the same code for potentially many different routes, the right place for that code is probably middleware. Middleware is a function that gets passed the request and response objects, along with a continuation function to call, called next(). Imagine you want to add a requestId to each request/response pair so that you can easily trace them back to the individual request when you’re debugging or searching your logs for something. This is also a better way to store the requestId mentioned above. Node v6.4.x+ ships with an integrated Chrome debugger, so you can hook up Node to use the same tools you use to debug your JS apps in the browser. Open chrome://inspect/ in the browser and click on the target, and you’ll get an interactive debugging environment. I use --debug-brk by default to tell it to break at the beginning, but you can leave it out. Remember, you’ll probably need to hit your route in a browser or from curl to trigger the route handlers and hit your breakpoints. Processes crash. Like all things, your server’s runtime will probably encounter an error it can’t handle at some point. Don’t sweat it. Log the error, shut down the server, and launch a new instance. You must shut down the process when there is an uncaught exception, because by definition, if you don’t know what went wrong with the app, your app is in an unknown, undefined state, and just about anything could be going wrong. You could be leaking resources. Your users may not be seeing the correct data. You could have all kinds of crazy, undefined behaviors. When there is an exception you haven’t specifically planned for, log the error, clean up whatever resources you can, and shut down the process. I wrote a module to make graceful error handling easy with Node. Check out express-error-handler. There are a wide range of server monitor utilities to detect crashes and repair the service in order to keep things running smoothly, even in the face of unexpected exceptions. I highly recommend PM2 for this. I use it, and it’s trusted by companies like Microsoft, IBM, and PayPal. To install, run npm install -g pm2. Install locally using npm install --save-dev pm2. Then you can launch the app using pm2 start source/app.js. You can manage running app instances with pm2 list and stop instances with pm2 stop. See the quick start for details. Bonus: PM2 can be configured to integrate with Keymetrics, which can provide great insights into your production app instances with a friendly web interface. 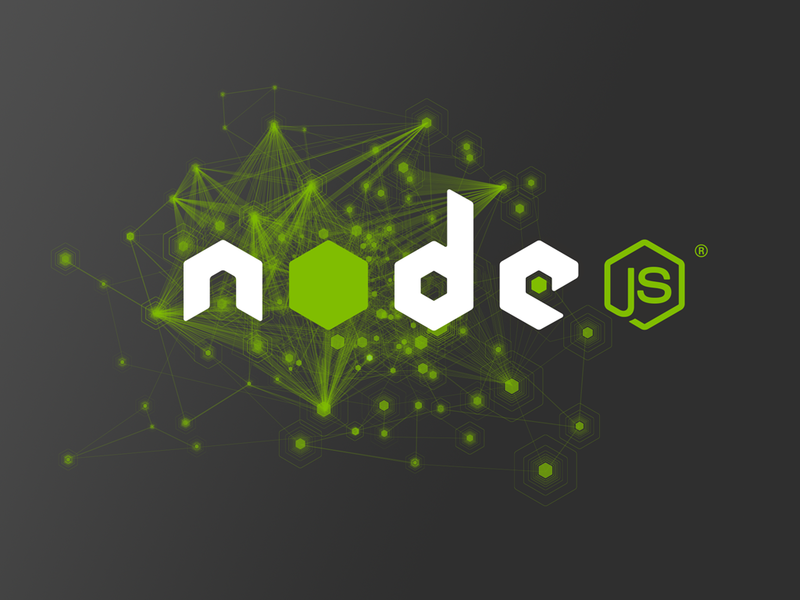 Want to learn a lot more about Node? We’re launching a new Node video series for members of EricElliottJS.com. If you’re not a member, you’re missing out.